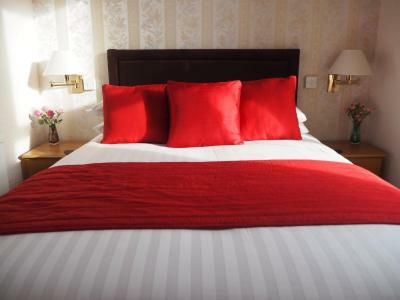 Lock in a great price for Swn Y Mor – rated 9.5 by recent guests! Friendly service and the full English breakfast was excellent value for money . A very pleasant stay ! We had loose tea served in a case iron tea pot. Breakfast was excellent. great location - a tad of a walk to center where all the restaurant are, but nice an quiet. Rooms are great with great views. A car park, which is an essential. Wonderful treatment and breakfasts, catering even to us vegetarians. Loved the place. 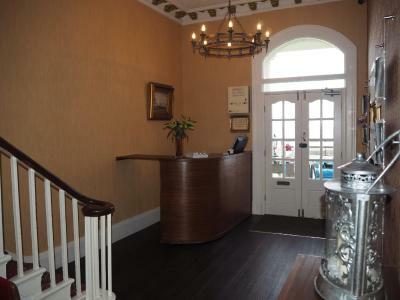 We had a brilliant stay.The hotel was in a good location and on site parking was great.I can not fault our stay.It really made our stay excellent in Llandudno,.Nothing was any trouble. Excellent breakfast and if you want an evening meal it can be ordered which also was really good. the breakfast was excellent.good quality food cooked to perfection.nothing was to much trouble for the staff .we were on the third floor .so they carried our luggage up on arrival.and carried it to the car on our departure. 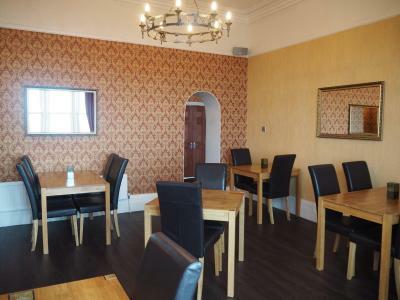 Lovely breakfast, very good location, friendly staff and very clean and tidy. Wonderfully friendly welcome from the moment I stepped into the hotel, great parking facilities, such a clean and tidy hotel from first entrance right through to the room. The host could not have been more helpful, they accommodated my request for a bath with no issue at all, beautifully clean linen and bathroom, lovely welcoming touches and great facilities (and treats!) in the room....even got a little gift on the way out! The beach is literally on the doorstep, as is the local shopping complex. I would recommend to anyone and will definitely stay here again myself...thank you! Friendly staff, took time to tell us about ways to explore, especially Great Orme and the trams, and gave leaflets with discount coupons. Breakfast was lovely, with plenty of choice. Vegetarian options available with branded vegetarian sausages. Evening meals and drinks available, although we were meeting friends so didn't get the chance to try this. Near coffee shops, fish and chip shops, and other restaurants. Free parking at the back of the property. Will recommend, and would stay again. 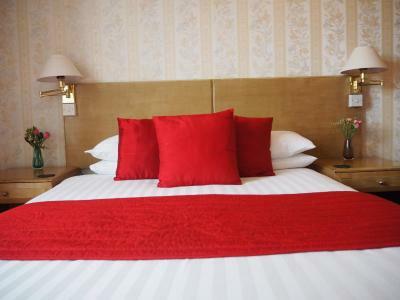 My husband and I travelled down for a night away with friends, the hotel was lovely, the owners were very nice and friendly, we will definitely book here again for our next visit. Swn Y Mor This rating is a reflection of how the property compares to the industry standard when it comes to price, facilities and services available. It's based on a self-evaluation by the property. Use this rating to help choose your stay! 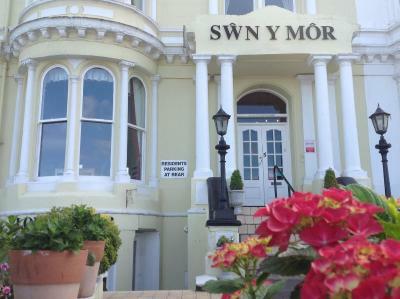 On the seafront in Llandudno, Swn Y Mor offers well-appointed rooms and freshly prepared home-cooked food. 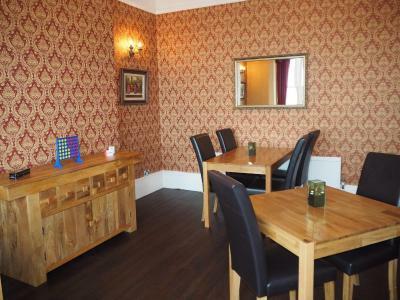 This North Wales hotel offers free parking and Wi-Fi, and is around 5 minutes’ walk from the town center and train station. 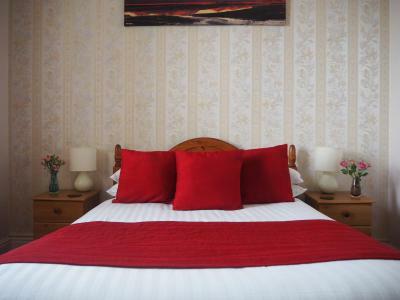 Each guest room at Swn Y Mor has a flat-screen TV, wardrobe and tea and coffee facilities. 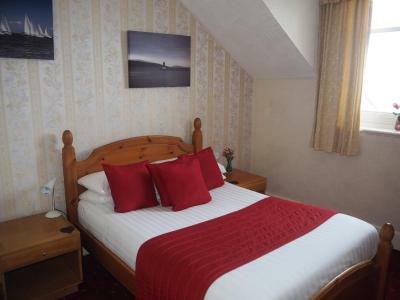 All have an en suite shower or bath, with hairdryer and complimentary toiletries provided. A full cooked breakfast is served each morning, served in the elegant dining room. High-quality evening meals can also be provided, and the hotel also has a bar, dining area and function room for larger events. 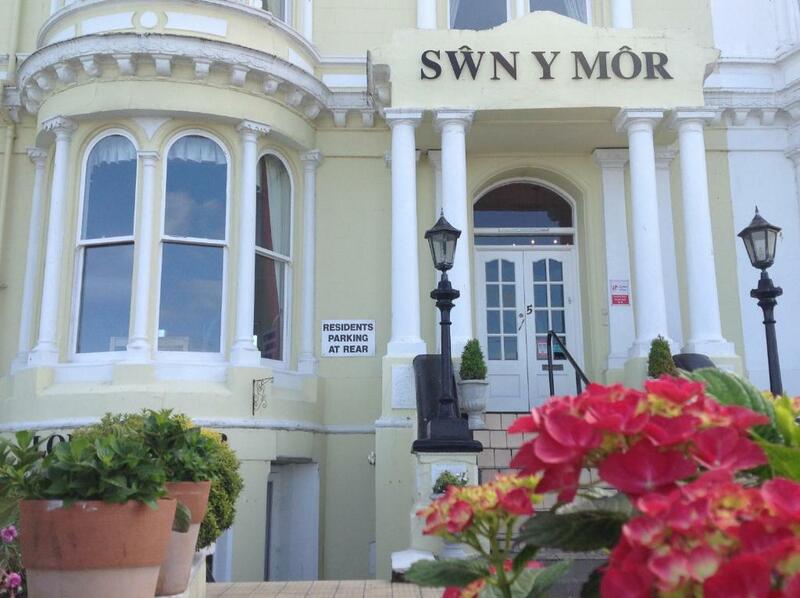 Swn Y Mor is just 3 minutes’ walk from the Venue Cymru theater, and around 14 minutes from the Llandudno Museum. The town’s Great Orme Tramway and the Great Orme Mines are among other local attractions. When would you like to stay at Swn Y Mor? 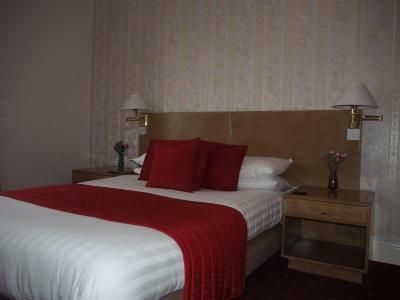 This room has a flat-screen TV with DVD player, wardrobe and tea and coffee facilities. 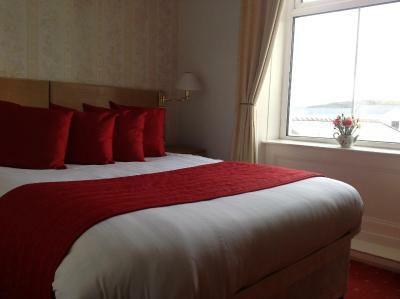 Located on the third floor, this room overlooks Llandudno's beautiful bay. The room has a flat-screen TV with a DVD player, a wardrobe, and tea and coffee making facilities. 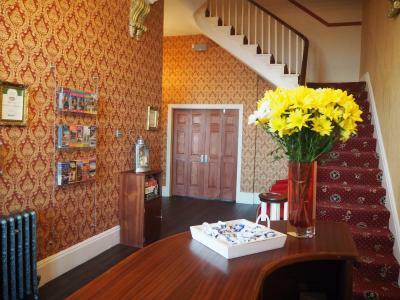 The SWN Y MOR is a small, independently owned, family run hotel. 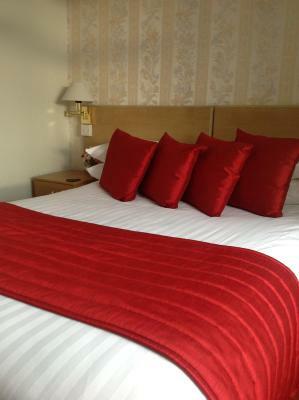 As a budget hotel, we are keen to improve guest facilities whilst keeping our prices as low as possible. With this in mind, renovations are taking place slowly, but not at the expense of our guests. Whilst we may not be able to provide all of the latest mod-cons, we do offer our guests an environment where they feel relaxed, welcome and at home. House Rules Swn Y Mor takes special requests – add in the next step! Swn Y Mor accepts these cards and reserves the right to temporarily hold an amount prior to arrival. superb breakfast. Good quality ingredients. Lovely view of the sea from room. Clean, comfortable and very quiet room. Beautiful hot cooked breakfast. Help with bags up the stairs. All fabulous. Will definitely visit again. Bit dated, could do with updating of the bathrooms and bedroom furniture. There is absolutely nothing negative to say about this hotel. Nothing to dislike. Very comfortable stay. Very welcoming host and perfect location. Breakfast was fantastic and we parked our car for another two hrs after we checked out since the car park was free and they offered us before we even asked them. every thing was good. if we get back to Llandudno will stay again.Chris and Steven make you feel very welcome.